1. Divorce is a relatively simple legal process at a very bad time for you. While you can agree a fee for your solicitor to handle it all under a retainer with him or her, it might be too costly or more than you are prepared to pay. 2. Pay as you go is called unbundled services by solicitors, who are regulated by the SRA under a code of conduct that usually requires a professional service under a retainer until it is terminated by agreement. If unbundled, the terms and conditions are for a limited input by the solicitor to act as your expert guide, offering advice and judgment gained by legal experience that your own research cannot match. 3. The service offered is for advice you pay for as you go. Bring a notepad or laptop and agree the advice given with the solicitor. Some may prefer to agree to record he meeting on a smartphone. 4. Schedule a next meeting for a vital step to be discussed such as completion of a document for the court, drafting an offer to settle or putting together your disclosure documents. 5. You have to be disciplined and treat yourself as your own client, because your solicitor cannot answer lots of questions outside of the paid meeting if you opt for unbundled pay as you go services instead of full representation under a retainer. It is not for everyone but I have 25 years plus experience and can discuss the range of options at an initial meeting without obligation to you. 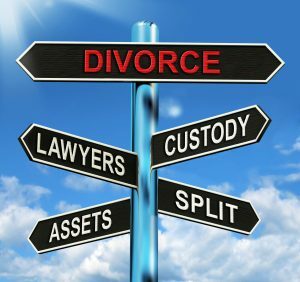 Advice as you go through divorce in Cheshire could be all that you need to know where you stand as you adjust to separation. This article was added on Thursday, March 30th, 2017 at 12:23 pm and is categorised under Cheshire divorce solicitor, Cheshire News, Chester News, Divorce, divorce finances, Hartford divorce, Macclesfield News, northwich solicitors, Runcorn News, Warrington News, Widnes News, Winsford News. Both comments and pings are currently closed. Error: Error validating access token: Session has expired on Saturday, 09-Mar-19 13:12:58 PST. The current time is Thursday, 25-Apr-19 10:09:32 PDT.